Getting to Cal Poly is easy from any destination, using the San Luis Obispo Airport (SBP). Many visitors prefer to fly in to the nearby cities of San Jose, San Francisco or Los Angeles and then rent a car for a scenic drive. See below for recommended driving routes. Please stop at the Visitor Information Center upon arrival to the Cal Poly campus in order to pick up parking information, visitor pass and campus map (you MUST notify the GrCI Program Manager of your intent to park on campus in order to have a FREE parking pass waiting for you; otherwise, the daily parking rate is $5.00). The kiosk is located at the main campus entrance on Grand Avenue and Slack Street. 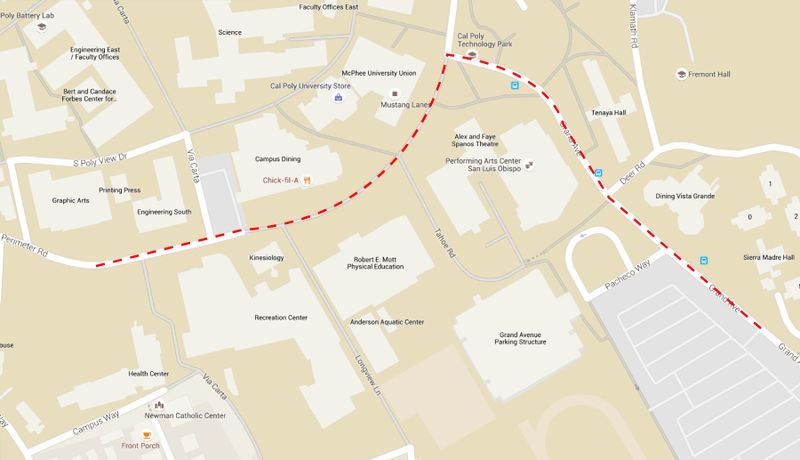 Please note that Cal Poly parking regulations are strictly enforced. Amtrak offers both rail and bus service to San Luis Obispo. Please visit www.amtrak.com for more information. 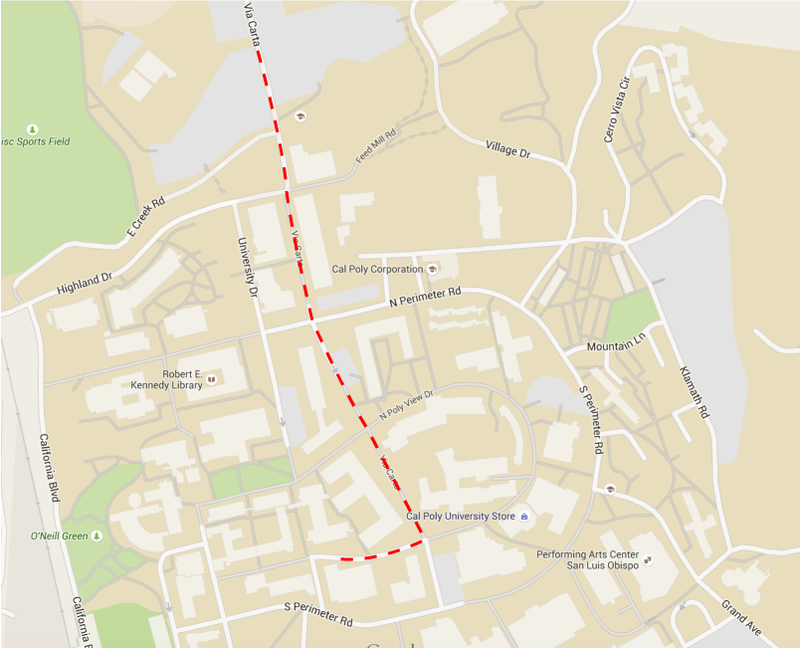 Need to get to Cal Poly first?